Jamie Carragher and Emile Heskey analysed the chances Marcus Rashford squandered in England's 0-0 draw with Croatia. The Manchester United forward spurred two glorious chances to score in the behind-closed-doors game, denied on each occasion by Croatian goalkeeper Dominik Livakovic. Former England striker Heskey was on hand with his analysis of Rashford's efforts and gave him a few pointers on what he could have done better. "The one that comes across him, he's got to put his laces through it," Heskey told Sky Sports. "Then the second one, he's so close to the goalkeeper, he should take it around him and finish it off. It's great he's getting in there though as when you miss one, your head could go down but he wants the ball. He wants to get into those positions again and it was just a little bit disappointing that he couldn't finish." 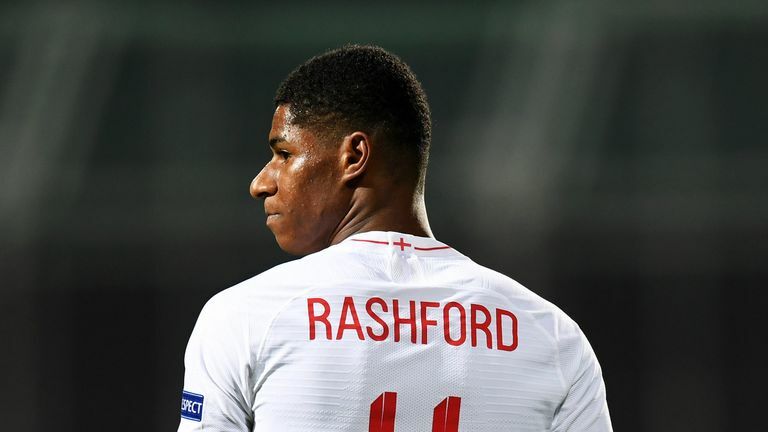 His sentiments were echoed by Jamie Carragher, who believes Rashford is now playing in a much narrower position for England, but must finish his chances. Carragher added: "The way England play, Rashford plays narrow - he's almost like a striker. He's not wide, he's not hugging the touchline like in an orthodox 4-3-3. Southgate wants his wide players to tuck in. Rashford is almost playing like a striker and getting into striking positions. Unfortunately for England he's missed the chances - he's got to take them." Hit the video to watch Heskey and Carragher analyse where Rashford went wrong. Bakayoko proving Chelsea wrong in Milan?